↑ Nancy Gibbs. "Editor's Letter: The Ties That Bind the TIME 100". Time. 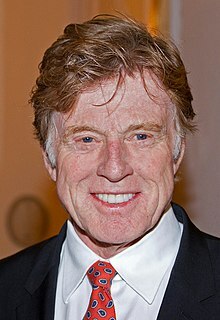 ↑ "Robert Redford". Time. April 23, 2014. ↑ "President Obama Names Recipients of the Presidential Medal of Freedom". The White House. November 16, 2016. Retrieved November 16, 2016. ↑ "RootsWeb: Database Index". ancestry.com. ↑ "Robert Redford's father". Geni. Retrieved August 6, 2017.